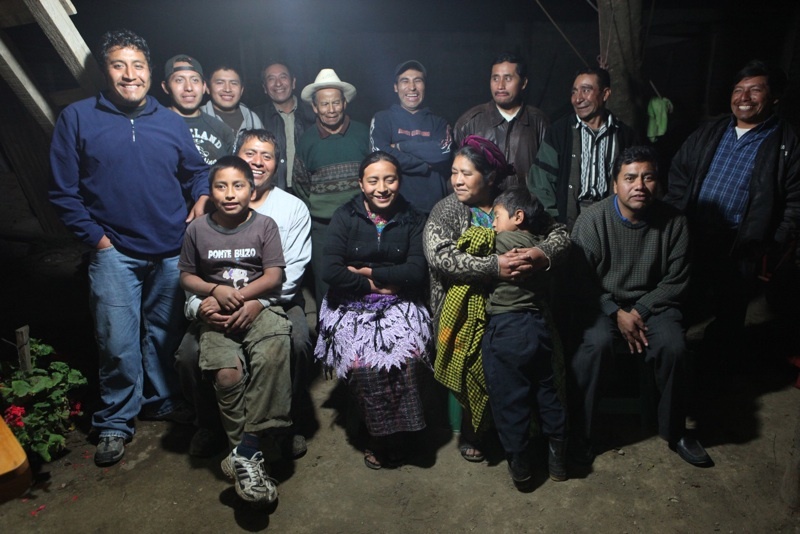 Jamie Clark and Les Stoneham along with other interested people in Ohio, Indiana, and Mississippi are going down to Santa Maria de Jesus, Guatemala again to continue their work with the farmers that bring us the wonderful La Amonia Hermosa coffee. Les Stoneham, founder of Deeper Roots Development and Vienna Coffee House's barista trainer, has been working with these farmers for the past five years, and just this October the now 20 farmers have developed their own government-recognized co-operative. We are very proud of their hard-work and coordination to make this happen. In "Deeper Roots Development", "Guatemala", "Jamie Clark", "La Armonia Hermosa", "Les Stoneham"
In "Guatemala", "Juan", "La Armonia Hermosa", "Santa Maria de Jesus", "alberto", "coffee trees", "coffee"
John, Les, and Jamie are all back from a great trip in Guatemala. There were so many great things that happened this trip that we will continue to update the blog with new photos and stories from this past month. The first image is of Demetrio, one of the new farmers of La Armonia Hermosa Coffee. He is showing us his large arabica trees. He has a wide assortment of coffee trees of all ages and an assortment of shade trees. He's great! Incredibly animated, and very passionate about his crop. The second image is Demetrio walking back from his farm to the path probably carrying about 40 pounds worth of jocote (a tropical fruit) on his back! The incredible part is he is 56 years old and barely broke a sweat! Also incredible is this path that he and all the other farmers have to walk up with all of their products to go back up to Santa Maria from their farm! Wow... these guys are strong and fit! You didn't want to see us after climbing this hill without anything on our backs. The last image is John and Les talking with Demetrio about his crop this year and eveything that goes into it. Very exciting! In "Arabica", "Demetrio", "Guatemala", "John Clark", "La Armonia Hermosa", "Les Stoneham"